On Saturday Rob and I had the opportunity to tour Palazzo Portinari Salviati, an amazing palazzo "hidden" in plain site on via del Corso and just minutes from the Duomo. In fact, when I studied abroad I lived just down a nearby side street and never knew the palazzo existed! Part of the palazzo was most recently a Banca Toscana, which I would like to say contributed to some of my ignorance. It was definitely a treat to take the tour. The palazzo is currently undergoing a lot of renovation and refurbishment to bring it back to its old glory. That being said, a lot of the frescos, stained glass, ceilings and other decorative elements are just as beautiful as ever. It was a visual feast for someone like myself that loves these details. 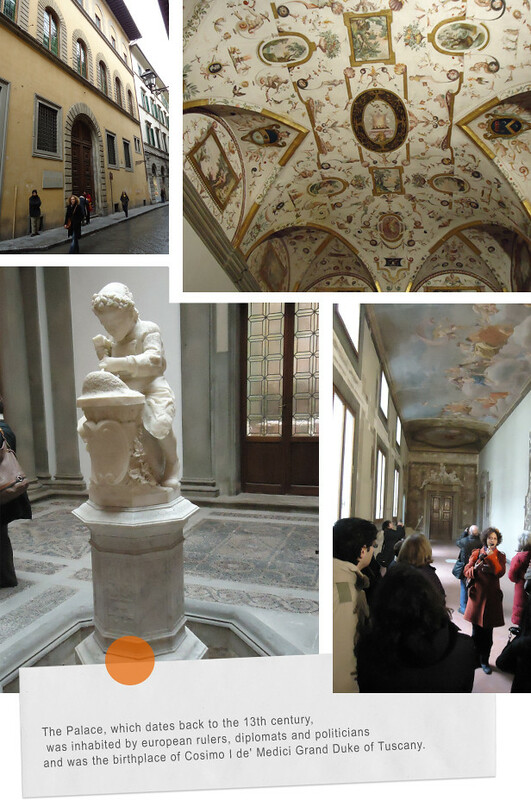 Rob, of course, loved learning the fun historical details (see below for more), including the fact that the ceiling in one of the rooms was completed by the same artist as the Uffizi ceiling. If you've been to the Uffizi you'll recognize the ceiling above right away. Palazzo Portinari Salviati has an invaluable historical importance, closely related to the most significant cultural events of the city of Florence. The Palace, which dates back to the 13th century, was inhabited by European rulers, diplomats and politicians and was the birthplace of both Cosimo I de' Medici Grand Duke of Tuscany and Beatrice Portinari, Dante Alighieri's muse. Throughout centuries of history, the Palazzo has hosted prominent figures of the Renaissance, sculptors and artists and now it features important frescoes and invaluable works of art by famous artists like Giambologna. 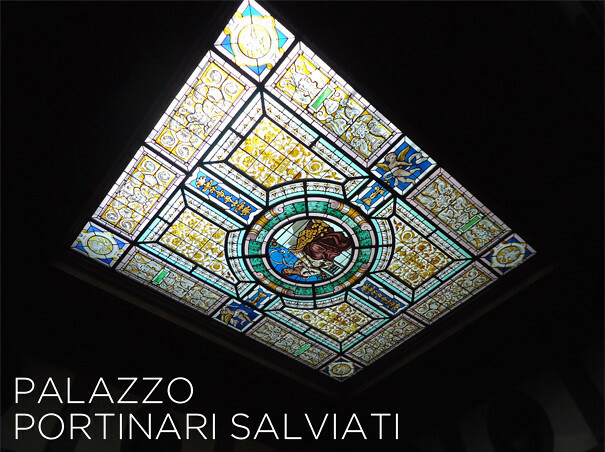 We absolutely love discovering places like Palazzo Portinari Salviati. 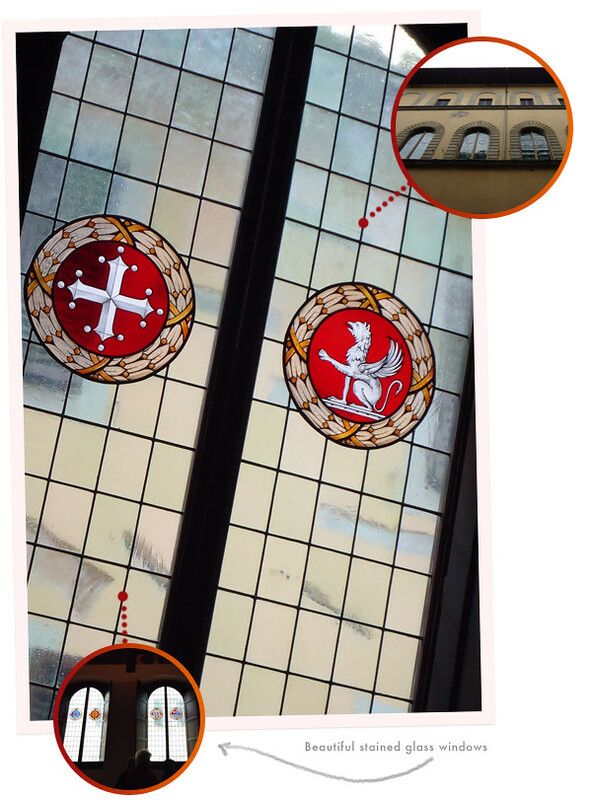 It's a huge tease to know there are more palazzi just like it lurking around almost every corner of the city! I shot a hopelessly terrible video during the tour, but decided to share it anyway so that you can see just a few of the wonderful rooms that we were privy to on the tour.